Buenos Aires, Argentina. Today, March 8th is International Women’s Day and a large portion of society is demonstrating for women’s rights and equality. Basque clubs around the world have not been left out and new Basque clubs join in every year with more commitment to the “Green Wave.” The activities planned for today, and throughout the month of March are recreational as well as to create awareness, and always with the motto: to express oneself in favor of gender equality and against gender violence. 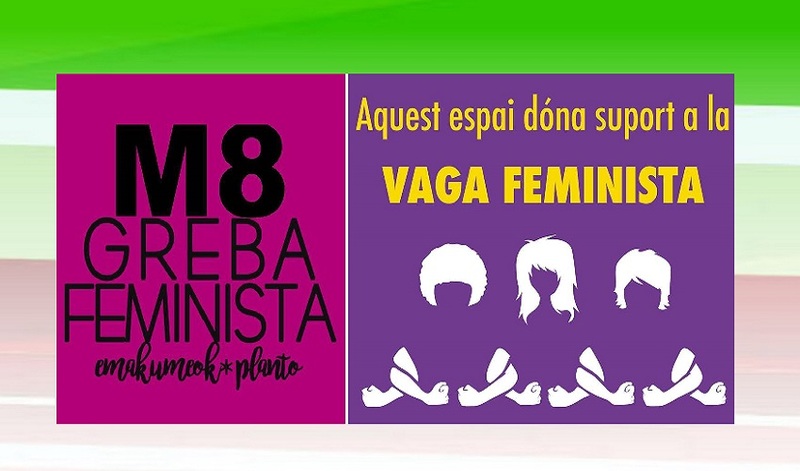 -Euskaltzaleok Euskal Etxea in Valencia is joining in the International Women’s Strike and has made it known on its social media. -Gure Txokoa in Azul is commemorating International Women’s Day with an event at 7pm. There will be a welcome; audiovisual personations with a greeting from the director of Emakunde, Izaskun Landaida, campaigns 2017-2018-2019, and the screening of the documentary “Volar." (Fly) The exhibit “Begiradak eraldatzen, transformando miradas,” will also be inaugurated and it will remain through Friday the 15th. -Eusko Aterpea in Gral. Rodríguez will participate in the event at the Main Plaza, steps from the Tree of Gernika, beginning at 8pm. At the ceremony founding member, former board member, and current collaborator, Maria Angelica Juambelz, will be honored. -Euzko Etxea in La Plata is among one of the clubs that is being honored by the city as part of the “Distinguished Women,” in the communities program. This year, the honor goes to Maria Fernanda Astigarraga. The event will take place at the Islas Malvinas Cultural Center (19 and 51 streets) beginning at 7pm. -Euzko Etxea in Villa María. The Women’s-Emakume Commission will host a dinner, as every year, in honor of women. There will be a wonderful menu and surprise gifts. The event begins at 9pm in the Euskal Herria Room at the clubhouse. Over 100 tickets have already been sold, according to club sources. -San Joseko Euskaldunen Taldea and the departmental Government of San Jose invite everyone to the inauguration of the “Begiradak eraldatzen, transformando miradas” exhibit, at the Cultural Space located on 18 de Julio on the corner of Thirty and Third streets. The exhibit will be inaugurated at 7p with a talk about Basque Women by Maite Bengoa. After the presentation, everyone present is invited to a cocktail. Accompanying the local Basque club are the Euskaro and Haize Hegoa Basque clubs in Montevideo as well as the FIVU national federation. The event is free. -At the Haize Hegoa Basque Club in Montevideo, Maite Bengoa, club president, will give a talk on the Basque woman. It will take place at the Euskal Etxea on Isabela Street 3475 B, at 7:30pm. -Eusko Alkartasuna in Sao Paulo will project the film, “My Life on Mars,” that discusses various women’s issues. After the film, there will be a discussion to reflect on the same.